Seems like it’s re-issue week around here. 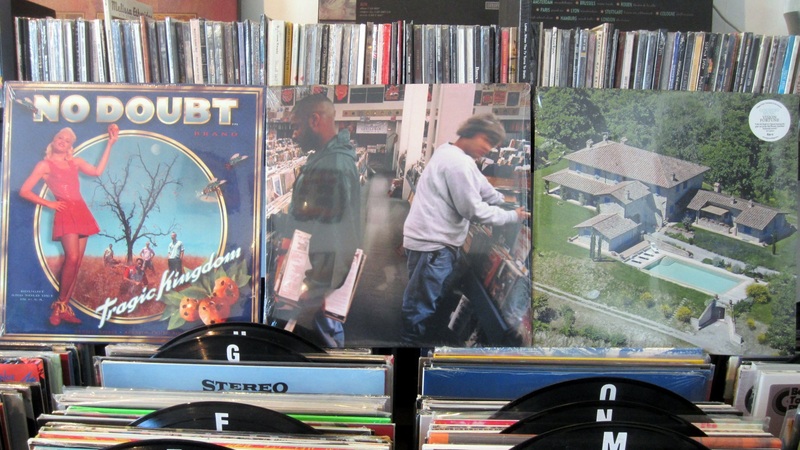 Certainly DJ Shadow’s album “Endtroducing…” has to be the pick of this week as it is likely on most peoples must listen / top albums list. We’ve been waiting for some vinyl on this for awhile but finally got some copies in. This is one that is going to be hard to resist cracking open a fresh copy. Also in is No Doubt’s “Tragic Kingdom”. Holy smokes did I ever listen to this a lot in 1995. It’s a short list but this has to be their best work. Got restocked on Caribou, White Stripes and Neutral Milk Hotel in today’s delivery too. Yes we do actually have some new music to mention too. Check below for the full album stream. Country Music is the second album by prolific experimentalists Vision Fortune, and their first for ATP Recordings. Recorded during an intense two-month research residency, generously funded by the Cuatroquesos Foundation, in the idyllic yet remote region of Tuscany, Italy, Country Music is both a significant development and audible departure from the sound of the band’s debut Mas Fiestas con el Grupo Vision Fortune. Confined in an expansive country villa for the duration of the project, the group soon found the breathtaking beauty of the area little compensation for the almost complete lack of wheat-and/or gluten-free products, a severely limited selection of DVDs, and minimal recording equipment. Only able to record in scant free hours, and forced to make the most of their immediate sonic environment, the group often had no choice but to forgo their simple daily routines of sampling local gastronomic delicacies and honing their horse-riding skills in order to complete the album. February 11, 2015 New vinyl releases and restocks.